The same day John and I we were learning more about a people who lived closely to nature and who revered “Mother Earth” our president was making plans to pull the US out of the Paris Climate Accord. 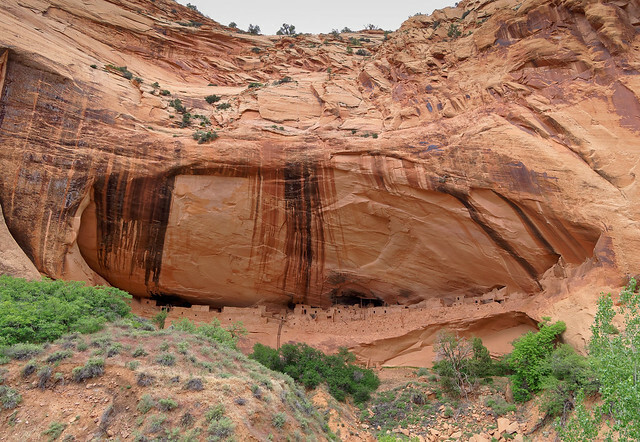 It is a cruel irony that the Ancestral Puebloans who once occupied the cliff dwellings in Navajo National Monument were forced to leave the area after an extensive period of drought. They were completely dependent on the environment and when anything went wrong they believed they were to blame. Obviously their modest hunting, gathering and subsistence farming "lifestyle" was in no way damaging their environment. Unfortunately, those of us came later bringing industrialization and conspicuous consumption cannot say the same thing as we have obviously caused irreparable harm to our planet. 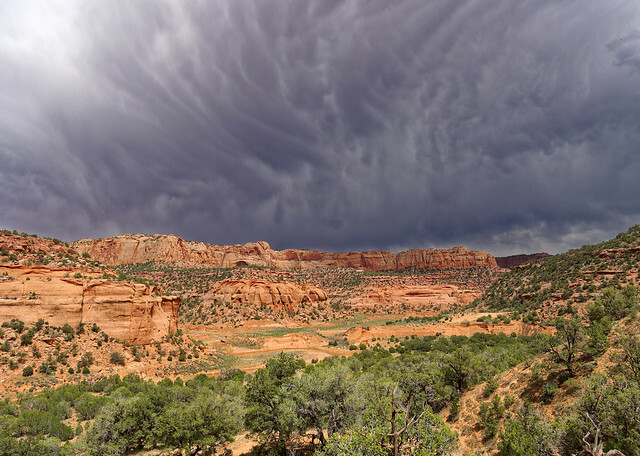 I fear that in the not too distant future countless individuals around the world will also be forced to abandon their homes and all they worked so hard to build just as the Ancestral Puebloans did because of intolerable environmental changes. Could it be that one day the remnants of their cultures will be put on display and visited by those lucky enough to have survived the catastrophe? Could it be that one day the remnants of our own culture will become tourist destinations? 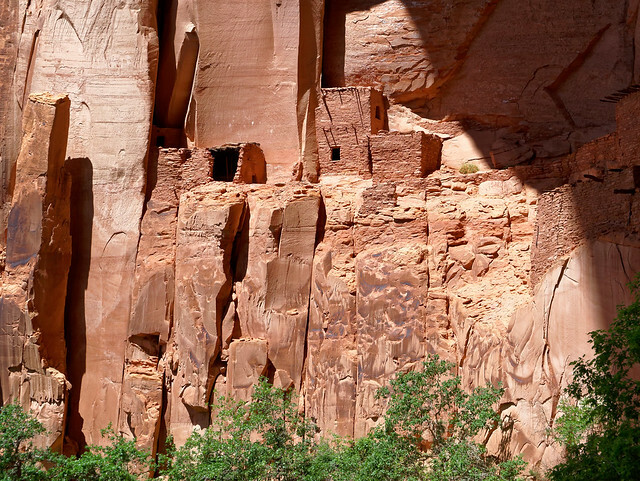 After leaving Grand Canyon's North Rim we headed to Navajo National Monument, the location of three well preserved cliff dwellings formerly occupied by Ancestral Pubeloan People. 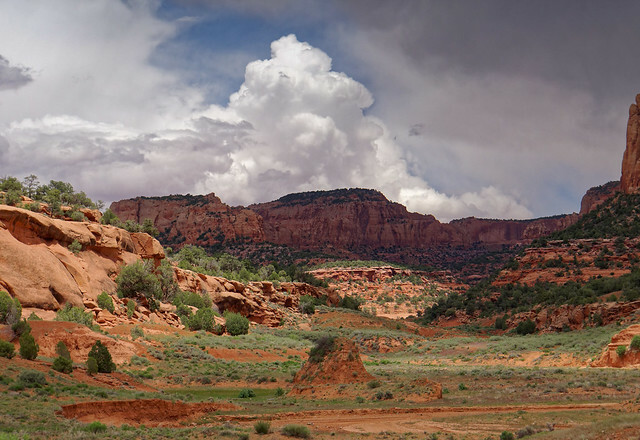 While the name "Anasazi", a Navajo word meaning ”ancient ones”, is commonly used when referring to the people who once lived in the cliff dwellings in the Four Corners region the preferred term is "Ancestral Puebloans". 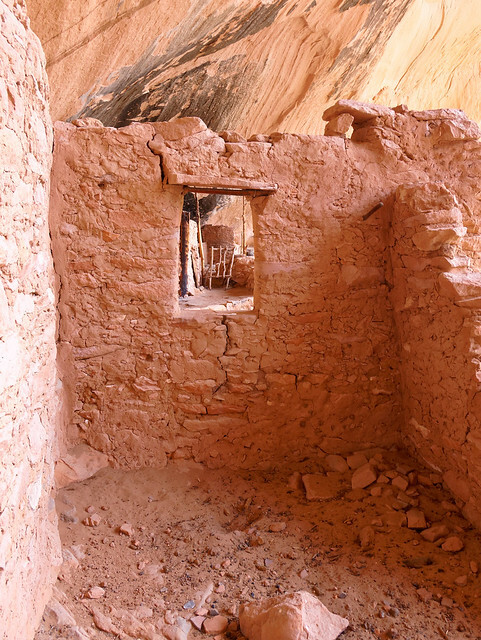 Of the three cliff dwellings only two, "Keet Seel" (Kitsʼiil/Broken Pottery) and "Betatakin" (Bitátʼahkin/Ledge House) are open to the public. The third, Tsʼah Biiʼ Kin/Inscription House, is closed due to its fragile condition. 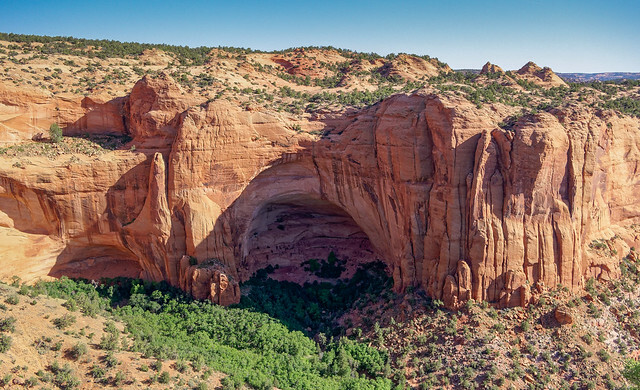 Navajo National Monument is situated within the Navajo Reservation but is administered by the Department of Interior and we owe a debt of gratitude to the Navajo Nation for their willingness to open these sacred sites to visitors. 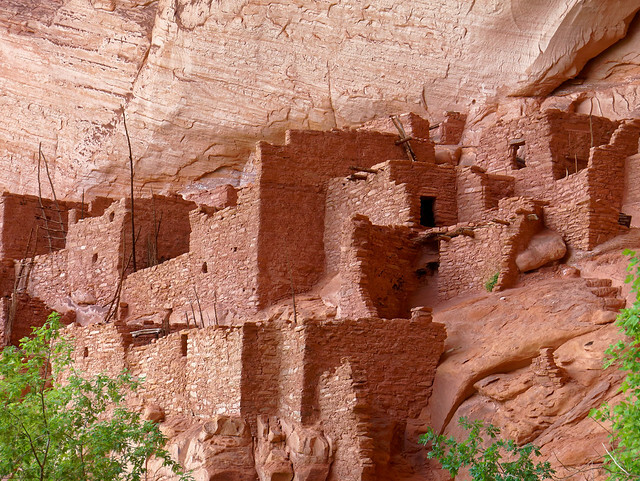 Part of the beauty of these cliff dwellings is that they have not been overly developed and commercialized as the dwellings at such as those at Mesa Verde. Little has been done to increase access and the shear physical effort required to reach them does exclude many individuals. 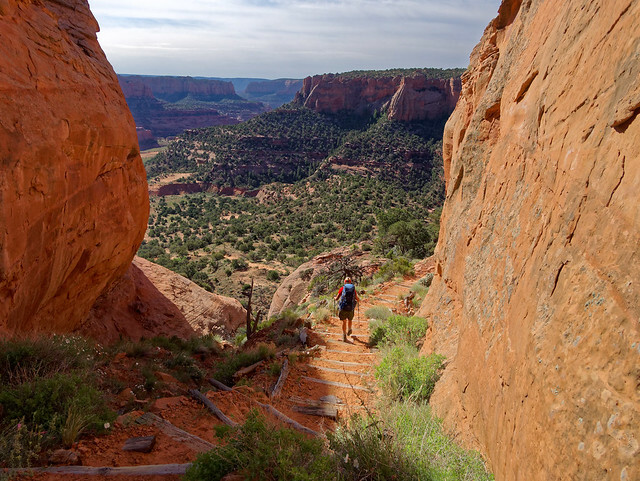 Getting to Betatakin requires doing a strenuous 5 mile round trip day hike or a very strenuous 3 mile one. 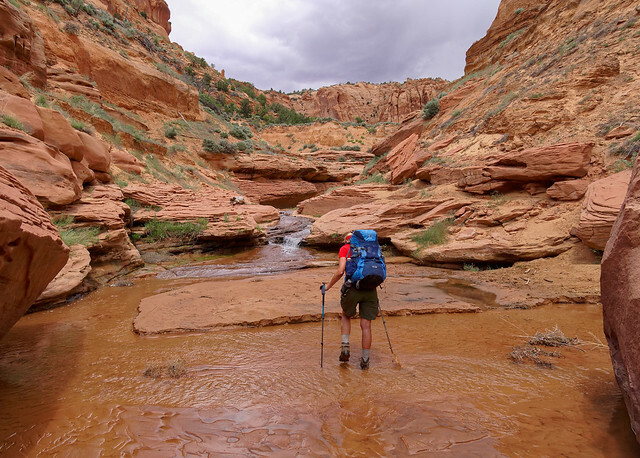 Getting to Keet Seel is a 17 mile round trip dayhike or an overnight backpack trip. 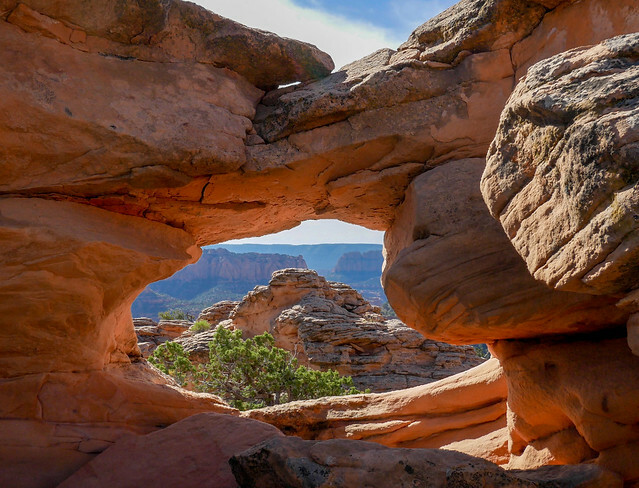 However, this has helped to prevent these ruins from being "loved to death" as is happening to so many of our public lands and national treasures. 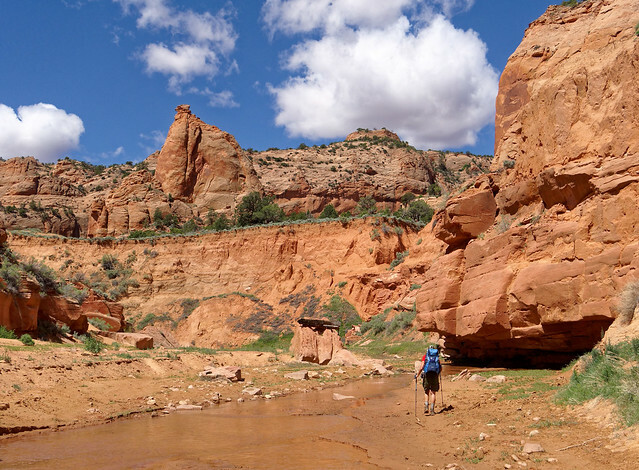 While we are perfectly capable of doing a 17 mile dayhike we prefer having more time to appreciate our surroundings so we decided to backpack to Keet Seel. Either way we first needed to obtain the necessary permit and attend the required orientation. 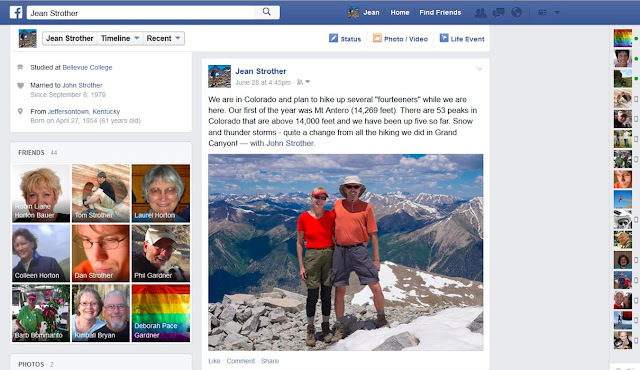 No more than 20 permits for either day hikers or backpackers are issued per day. It is essential one remembers that while Keet Seel is within the national monument it is an "island" in a "sea" of private property. 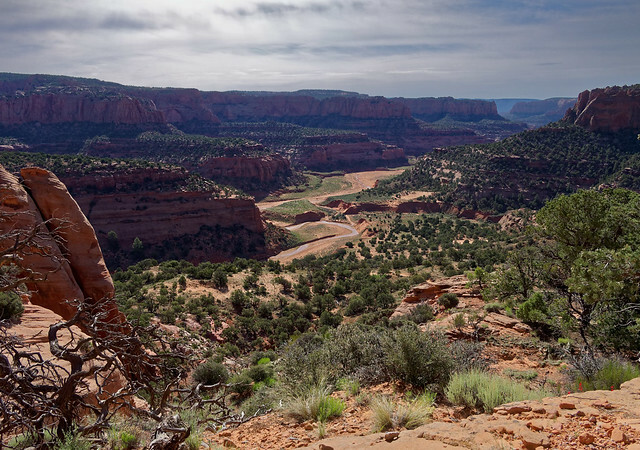 The Navajos living in the area have granted hikers permission to cross their land in order to get to Keet Seel but insist they don't stray off of the trail. I hope hikers do respect that as it is a privilege to be there and I would hate for them to feel the need to reconsider the arrangement. 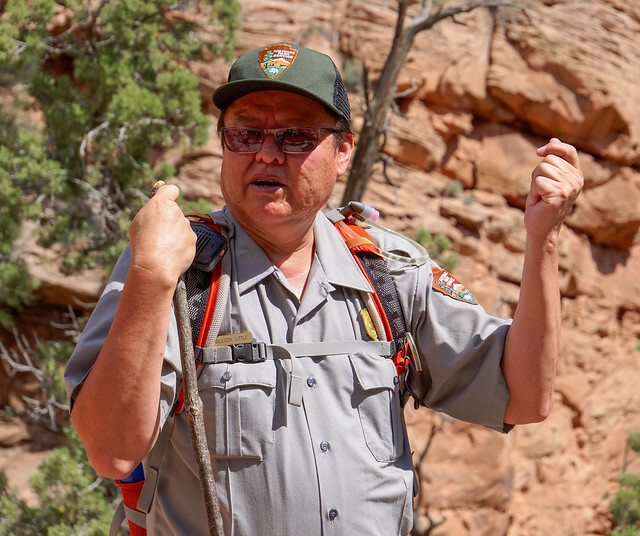 The permit entitles you to quickly cross Navajo land and be taken on a tour of the cliff dwellings conducted by a volunteer ranger. If you obtain a permit and for some reason you don’t go then please notify rangers as soon as possible as they go to great lengths to find you. I am sure is is done out of concern for your safety but also I assume it is done to help maintain the good relationship with they have with the Navajos. Please be aware if you get off route and don't come out when expected you could be fined. 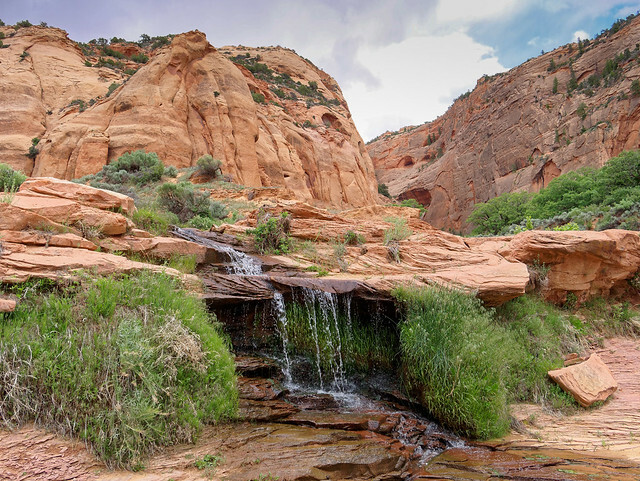 We were told the creek water could not be adequately treated to render it safe for drinking due to the many cattle and wild horses in the canyon. 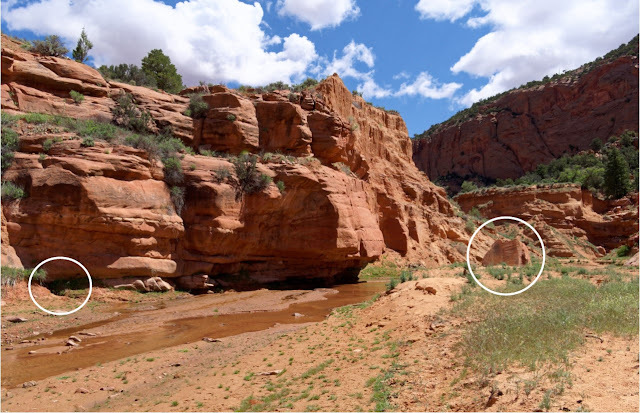 There apparently is a spring in the area and the Navajos allow the volunteer rangers at Keet Seel to use it. However, hikers do not have permission to use it. 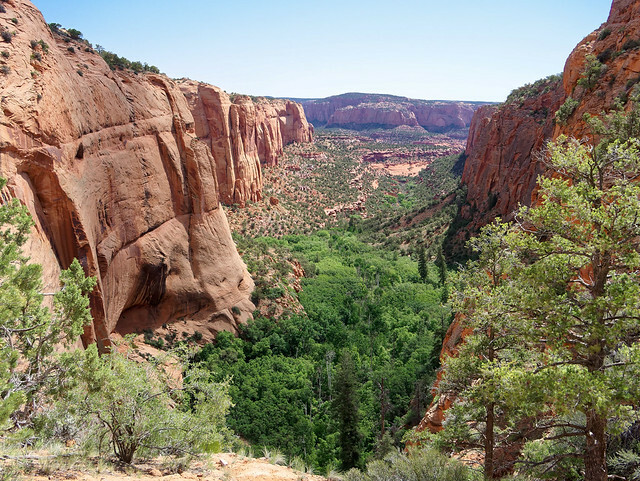 While some hikers apparently have located it and have shared this information online it is imperative we all respect the wishes of the local people and follow their rules when on their property. Therefore, John and I each carried 2 gallons of water. ... to the canyon floor. 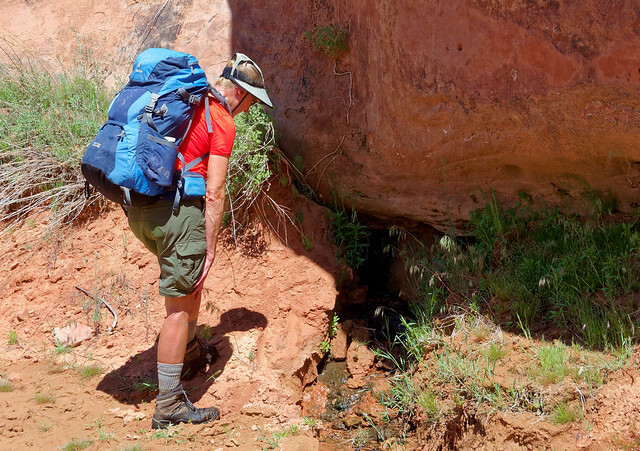 We had been encouraged to cache some of our water near the trail just before dropping into the canyon which we did. 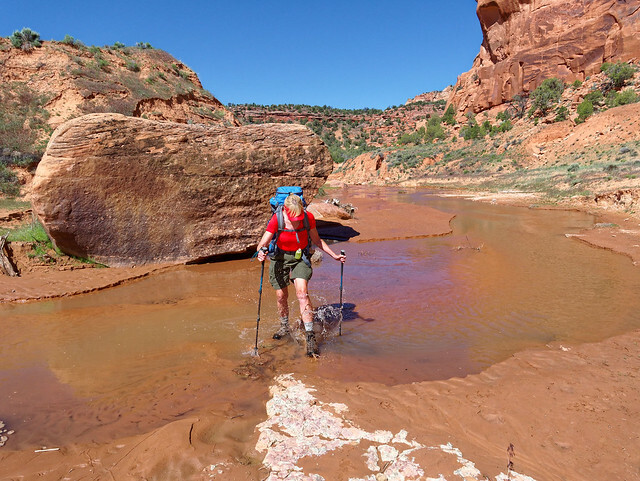 Once on the canyon floor we needed to cross Laguna Creek which was shallow enough we were able keep our feet dry by carefully stepping on sand bars or rocks. 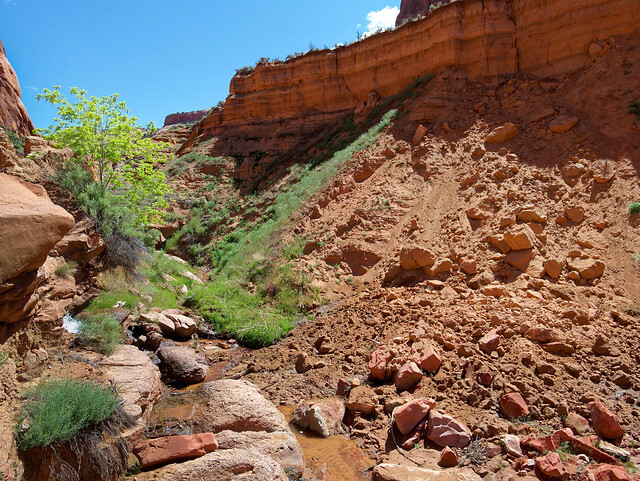 Not long after crossing it we turned and headed up Keet Seel Canyon. For the rest of the hike we would be following Keet Seel Creek going back and forth crossing it countless times. It becomes more of a "route" than a "trail" but it is well marked with periodic trail markers. Something we had been warned about was “quick sand”. We did encounter patches of saturated sand that was reluctant to support our weight for more than an instant. However, it did not match what books and movies have led me to believe "quick sand" actually is and it was not an issue as long as we didn't stand still too long. ... between water and rock. On this particular day there was a 30% chance of thunderstorms in the forecast. While the sky started out to be a perfectly clear blue later in the day clouds began forming over our heads. It reminded us of the afternoon thunderstorms common in Colorado for which we have a healthy respect. 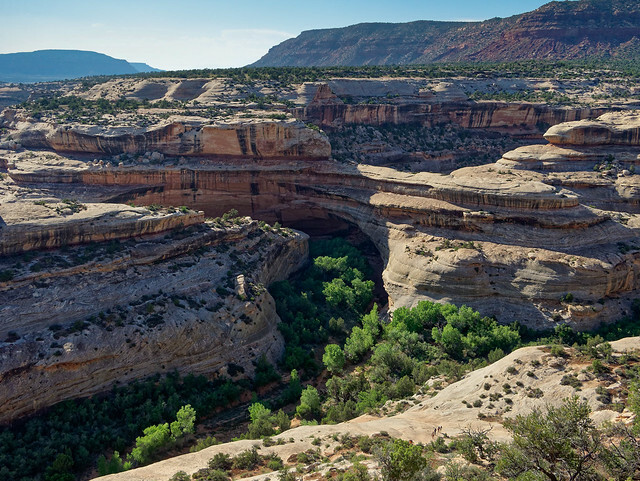 As the canyon narrowed up we became more alert. Even though it wasn't raining where we were we knew rain upstream in the distance could cause flash flooding. We had one route finding issue. As I always watch where I put my feet I sometimes miss "the big picture" and lead us off route. When we reached this spot I continued ahead until deep mud slowed me down enough to rethink my decision. John had wisely hung back and located where the route left the creek bed. As we approached our destination we encountered another backpacker who told us what time our tour would take place. 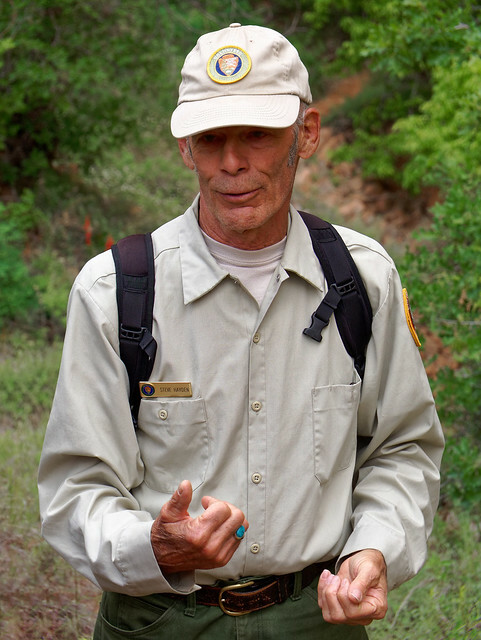 The volunteer ranger prefers to limit tours to no more than 7 people and as only 20 permits are issued per day that means he typically does 3 tours per day. We would be on the last one so we had plenty of time to set up our tent in the designated camping area located up the side trail pictured below. 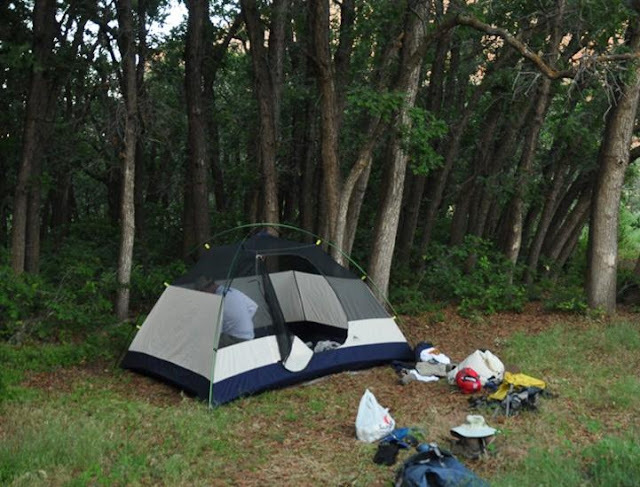 The camping area is located within a lovely shady grove of trees. 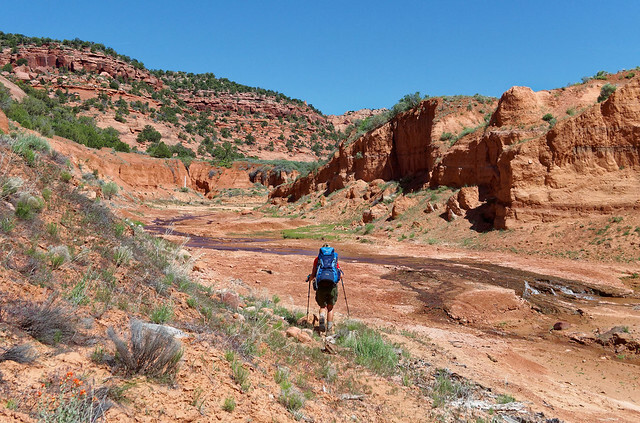 After setting up our camp we continued upstream a bit and followed the well worn track through the gate and onto this "satellite" portion of the national monument. Steve Hayden and his partner Diane are volunteer rangers who live in the yurt on the site part of the year. Steve gives all the tours which is so appropriate as he has a strong family connection to this site. Both his grandfather, Irwin Hayden, and his father, Julian Hayden, were involved in the excavation of Keet Seel in the early 1930's. Little was known about the excavation until after Julian's death and Steve found his diary. He is in the process of transcribing portions of it and compiling it into a book (more info). 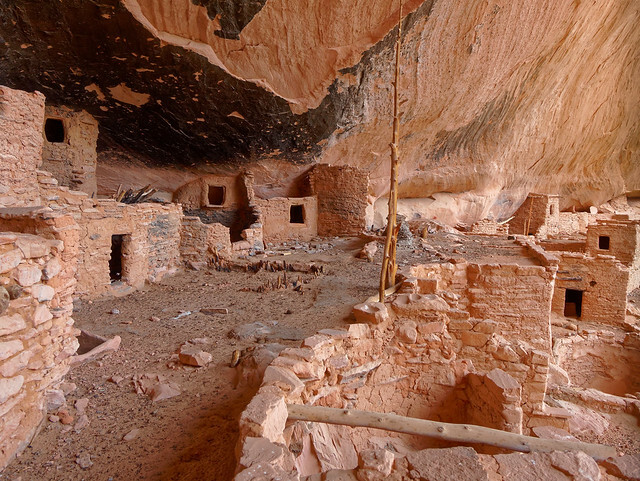 Keet Seel is considered to be the largest and best preserved cliff dwelling in Arizona. The area was first occupied about 1250 and it is thought that as many as 150 people lived here until is was abandoned (around 1300) after prolonged drought. ... one must first ascend a long ladder. With only 7 people in the group it was a much more intimate tour than we had experienced in Mesa Verde. Steve does such an excellent job on these tours I cannot even begin to paraphrase the wealth of information he provided. A particular advantage to being part of the last group of the day was that no one had any time pressures. Steve was content to answer all of our questions and seemed to appreciate our patient attentiveness. Understandably those who dayhike to see Keet Seel undoubtedly feel a need to keep an eye on the clock. As we slowly walked through the ruin it was interesting to see the variety of construction techniques. ... but I wondered why it was sometimes used for walls. 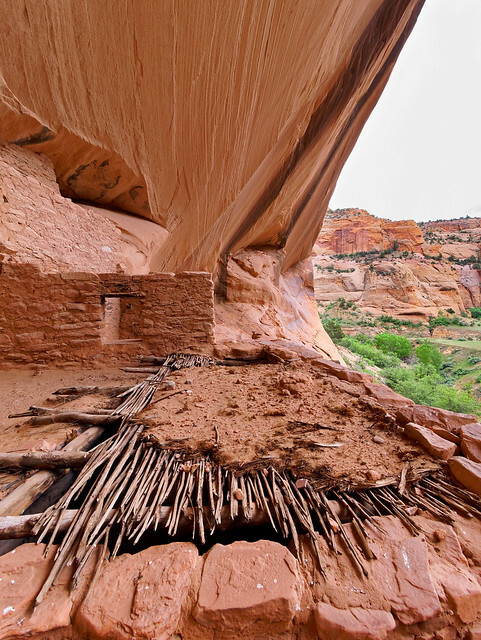 We saw other evidence of a divergence from what may have been considered more "traditional" building methods and styles. I wonder if the people who built their dwelling this way were considered to be unconventional or innovative. Or perhaps simply foolish? 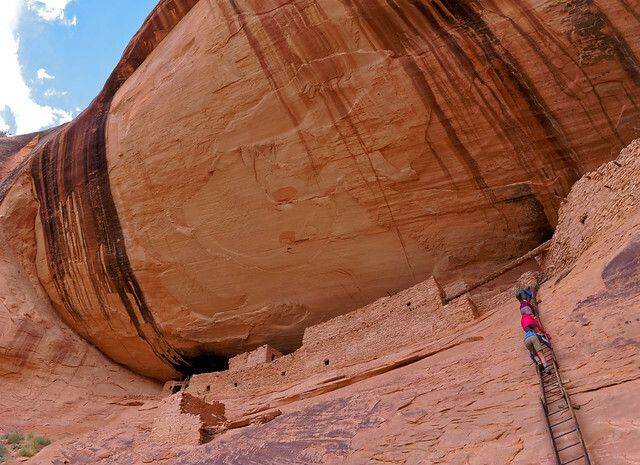 Kivas were subterranean rooms used by Ancestral Puebloans for spiritual gatherings. Apparently there are indications the people who once lived in Keet Seel intended to return sometime in the future and left many of their possessions behind. Undoubtedly, many artifacts have long since been removed from the site but there are still some remnants left. 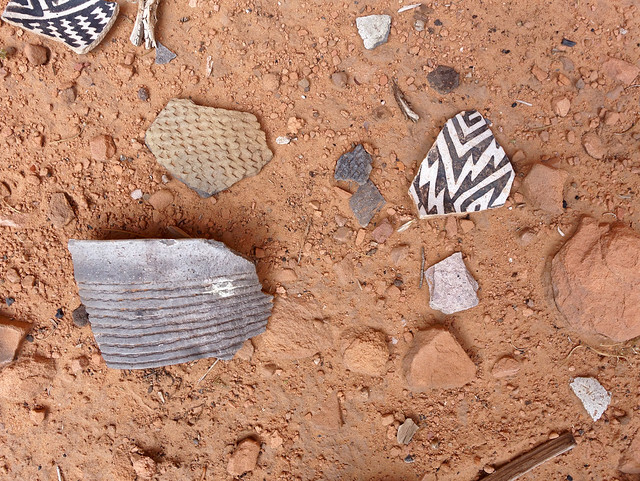 The wide variety of pot sherds scattered around the base of the site, the "midden", illustrate some of the amazing creativity and skill of the potters. It is wonderful to think about people who obviously had to work incredibly hard just to survive were willing to devote so much time to creating art out of a utilitarian object such as a clay pot. 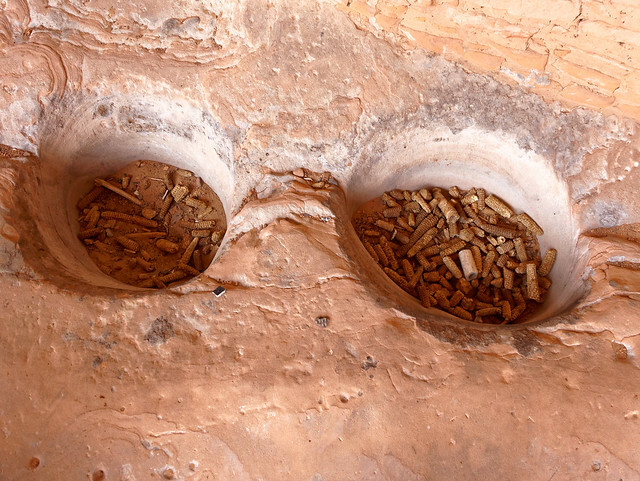 The Ancestral Puebloans subsisted by hunting and farming; growing maize, beans and squash, storing it in bins such as these. Crops were grown on top of the mesas and there was only one way to get up there - climb. Looking up at this rock face I found it difficult to imagine what it would have been like to climb up it (much less back down) on a regular basis. Of course I saw it through the eyes of a 63 year old woman with a fear of heights and who can drive to a grocery store. I realize it would be a different matter to look at it with the mindset of "climb up it or we all go hungry". 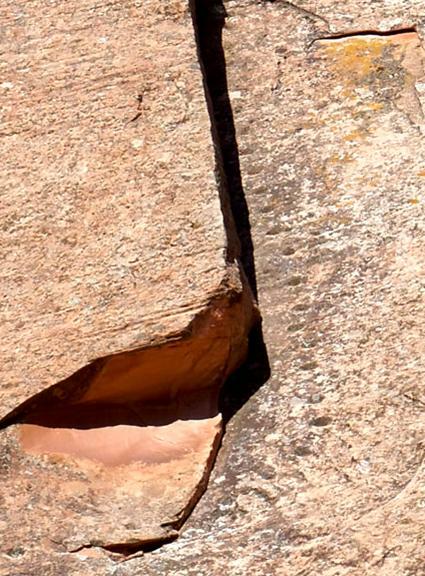 ... small indentations that were cut into the rock where needed for footholds and handholds. These are know as "Moki Steps". I have to admit I am fixated on Moki steps. 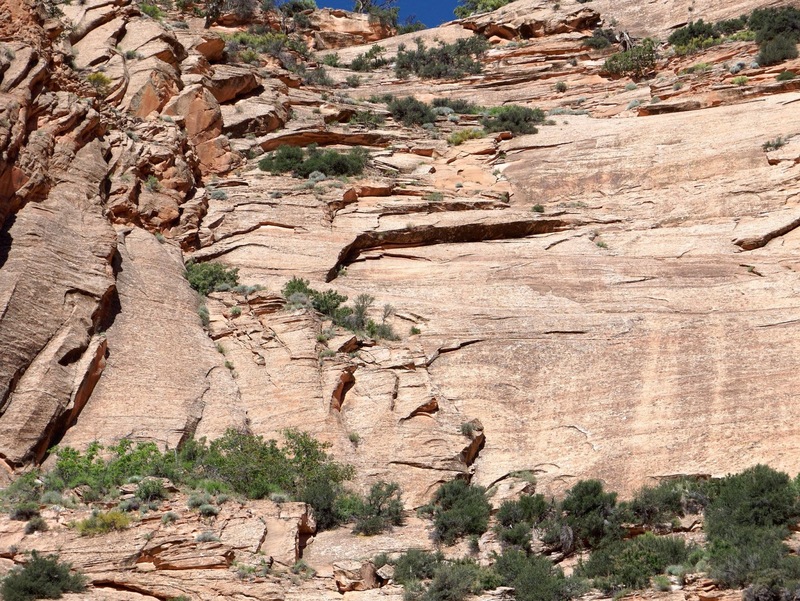 I am terrified at the thought of approaching one of these rock faces and actually relying on them to help me get to the top of the mesa. 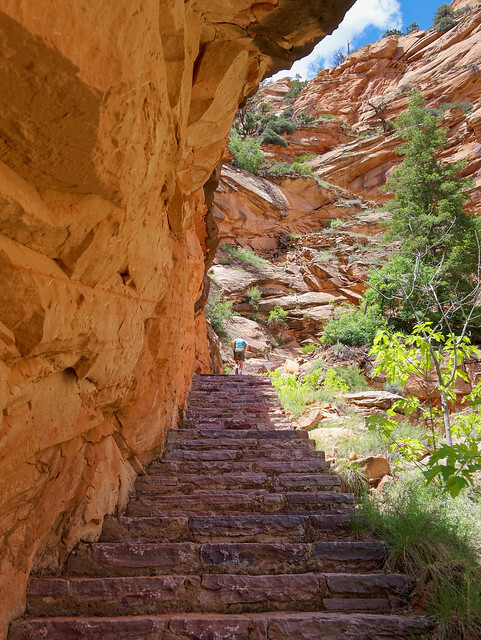 However, I also feel a compulsion to touch the rock and put my bare foot in one of those steps just to feel it. Ridiculous I know because my congenitally deformed but surgically repaired toes would never tolerate it. 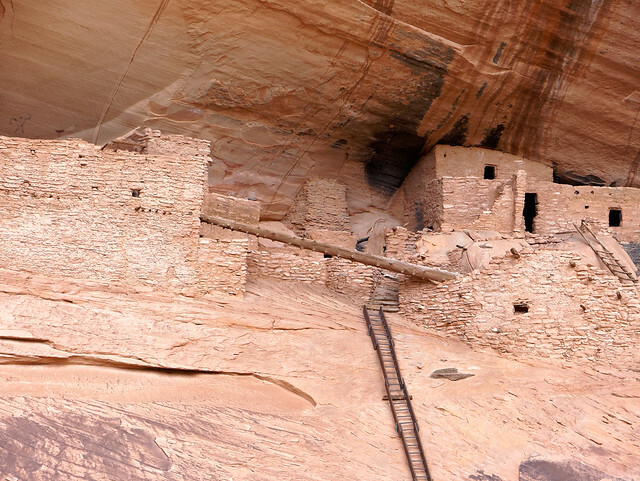 But it reminds me of an experience I had the first time we visited Mesa Verde. As part of a tour we were shown some of the terraces where the Ancestral Puebloans had grown crops. At the time I was an avid organic gardener and I couldn't resist sticking my finger into the soil so I could feel the texture. That simple act caused me to feel a connection with the the people who had diligently tended their crops. 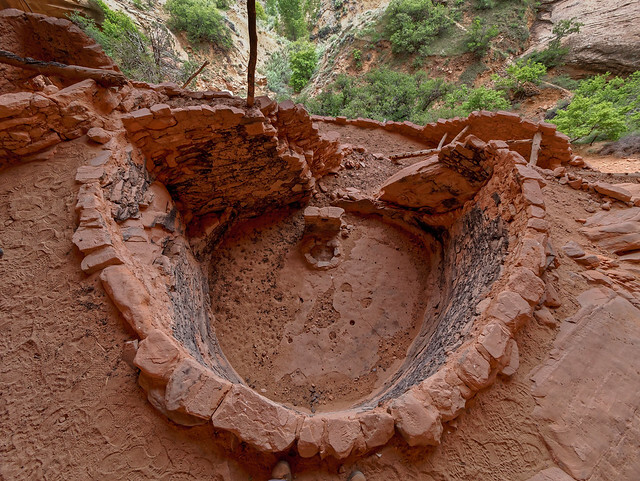 I had a similar feeling when handling a grinding stone left behind at a granary in Clear Creek Canyon in Grand Canyon National Park. I could almost imagine a small group of women sitting around grinding corn together, a tedious task made less tedious with company and perhaps much laughter. After the incredibly interesting tour we all headed back to the camping area but the following morning John and I went back for one last look. We were in no hurry to leave and there are some well placed benches providing an expansive view. We both enjoyed just sitting there in the quiet solitude. However, once we started hearing the raucous (at least to our ears) voices announcing the arrival of some of the dayhikers we decided it was time to go. Our hike out was uneventful and we were grateful for our much lighter packs. Something worth noting is that while the ranger doing the orientation at the Visitor Center told us we had to carry all of our water Steve told us about a spring along the trail we could have used. It is located about a mile (or so) downstream from Keet Seel. 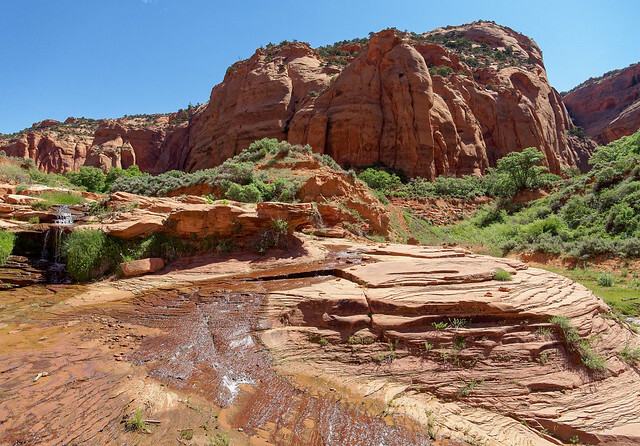 He said to look for a large rock with a charred log balanced on the top and that the spring is located under a ledge on the opposite side of the creek. It appears to be a fine clear spring that could be perennial. This is what it looks like heading up stream. ... and as it had happened the day before more clouds formed overhead as the day progressed. But no rain fell on us and we completed our hike without incident. 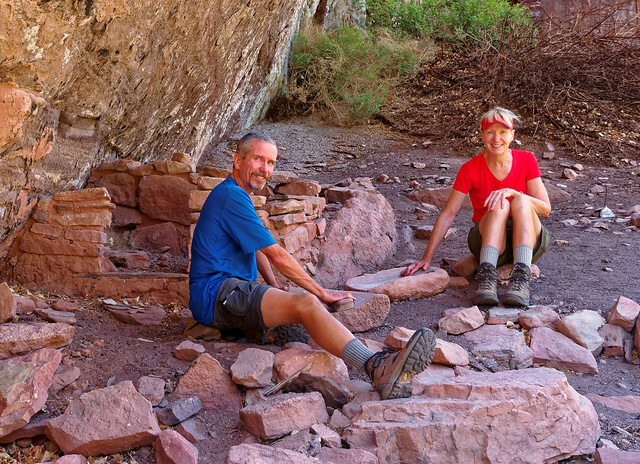 All of our photos from this backpack trip and tour of Keet Seel cliff dwellings are on Flickr. The following day we signed up for a tour of the Betatakin cliff dwellings. We had our choice of doing a "strenuous" 5 mile round trip hike or a "very strenuous" 3 mile round trip hike. 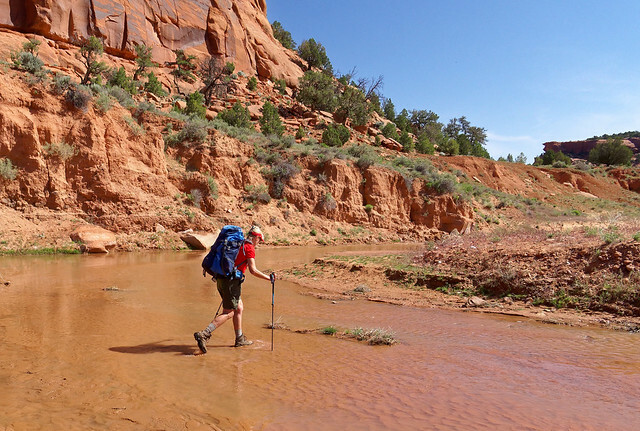 The difference being the longer hike utilizes some of the same trail that goes to Keet Seel. 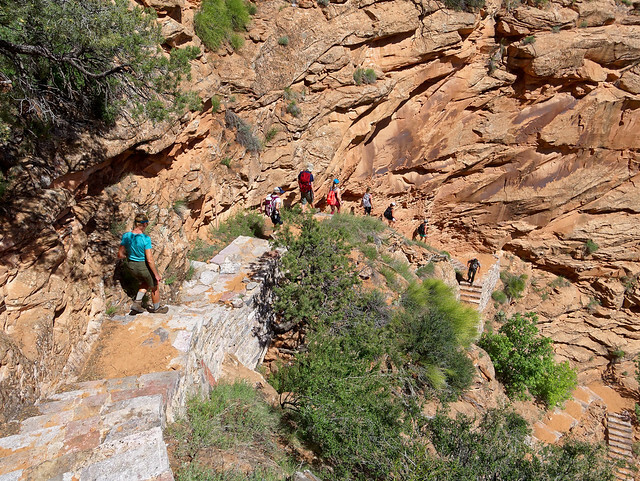 As we had already done that we opted for the shorter but steeper trail. 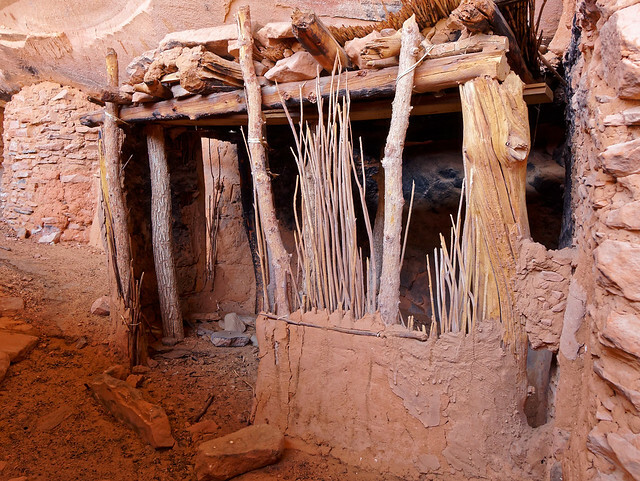 Our Navajo guide was very knowledgeable about the culture of the people who had once lived in the area. Periodically as our group made their way down the steep trail our guide would stop and tell us about the different plants, both their practical and their medicinal uses. Steve Hayden had told us how good the Navajo guides were and how different their approach when giving tours was from his. And it's true. 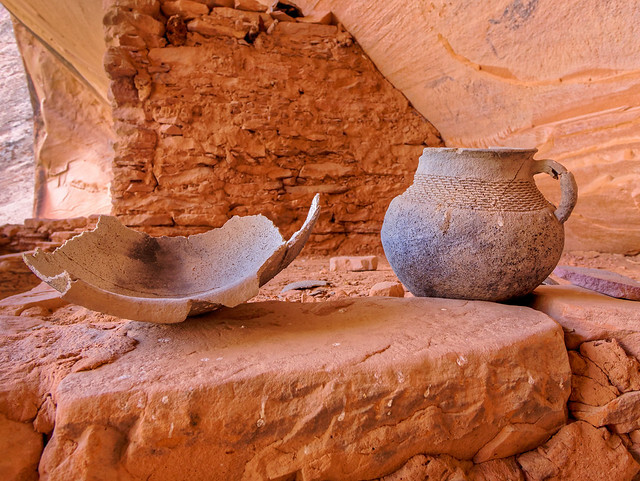 Whereas, Steve comes to it from an interest in archeology and a site his father and grandfather worked on the Navajo guides are describing the lives of their revered ancestors. 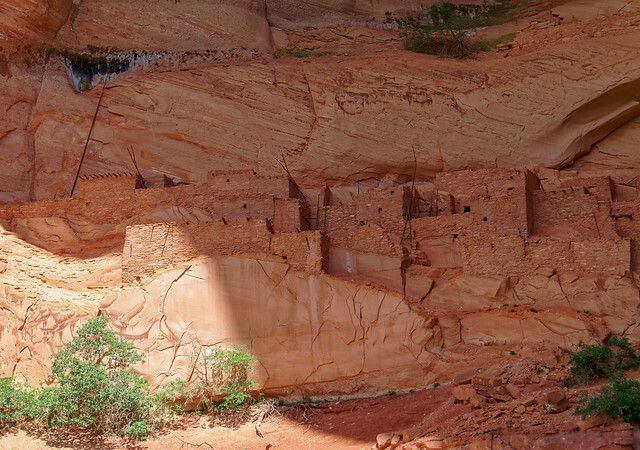 As is common with cliff dwellings those at Betatakin were constructed within a large alcove. This site is not as large as Keet Seel and visitors are not allowed to actually enter it. 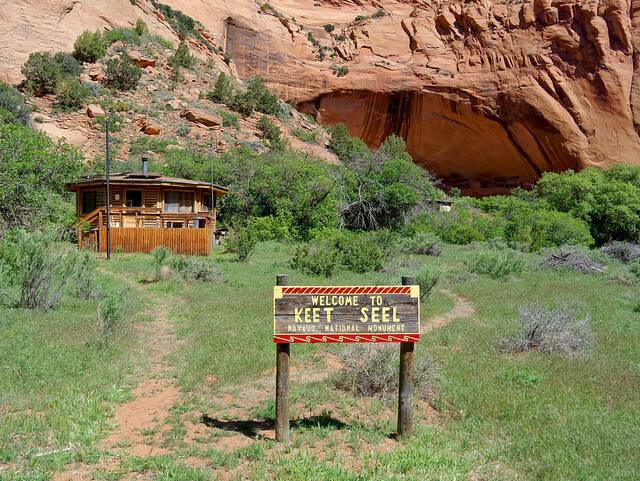 We realized it might have been best to have visited it before having been to Keet Seel. Being limited to viewing it from a distance as part of a larger tour group really made us value the more intimate experience we had at Keet Seel even more. However, Betatakin is accessible to more people and is definitely well worth visiting. After the end of our tour we headed up the steep trail. 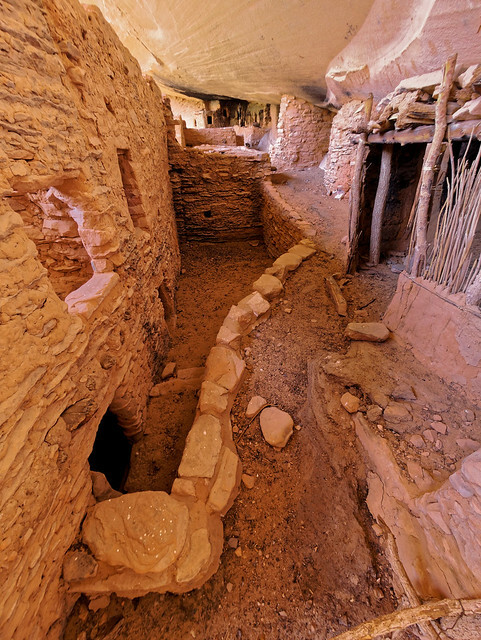 All of our photos of Betatakin cliff dwellings are on Flickr. 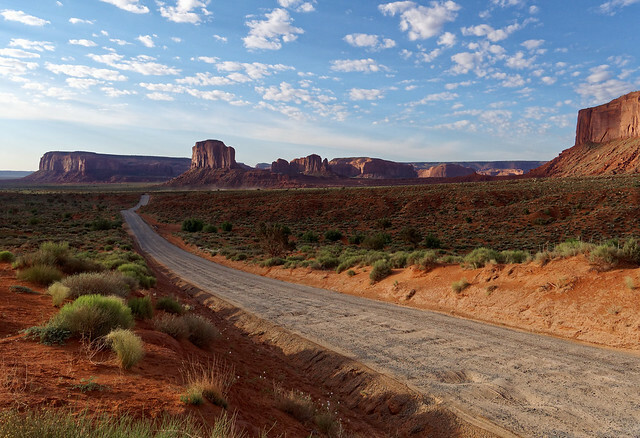 Our next stop was Monument Valley Navajo Tribal Park. 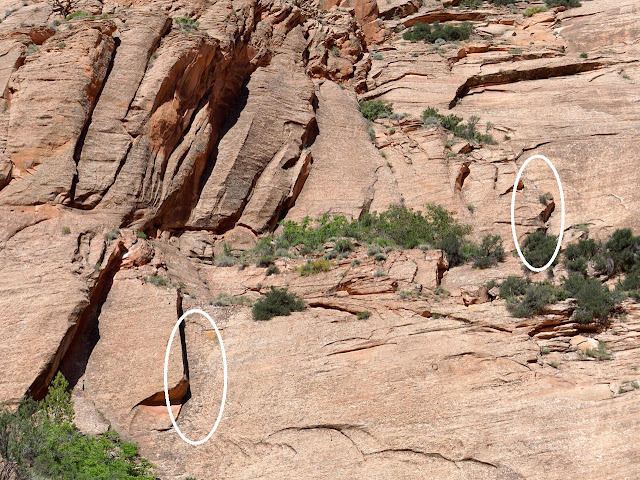 Anyone who grew up as we did watching westerns on TV is already familiar with some of the rock features. ... to do photography in the lovely morning light. We went out together late in the day when the evening light created a stunning light show on the formations. 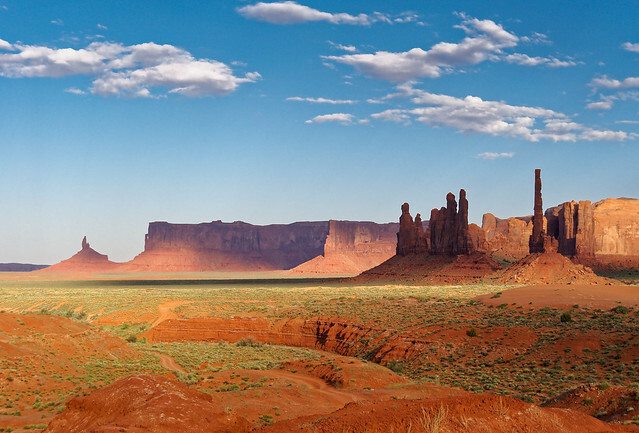 All of our Monument Valley Navajo Tribal Park photos are on Flickr. 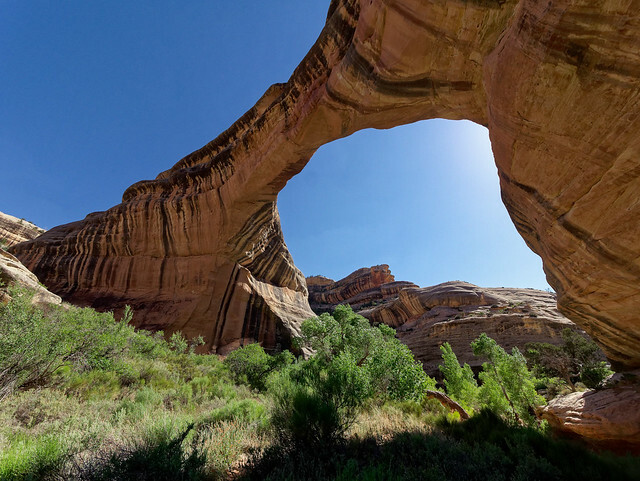 Our next destination was Natural Bridges National Monument in Utah. 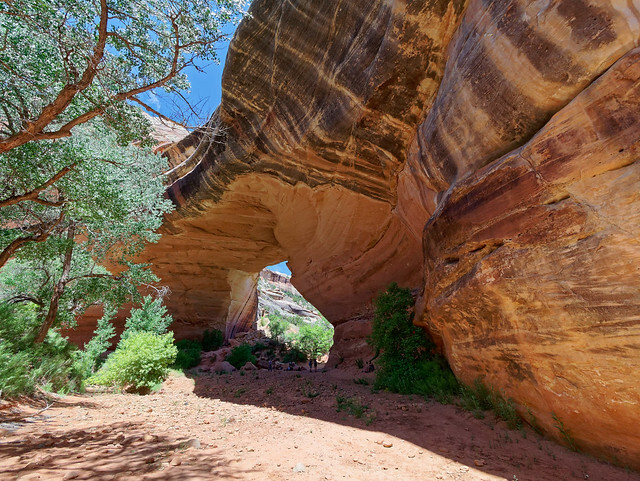 This is a relatively small national monument situated within the much larger (and controversial) Bears Ears National Monument. 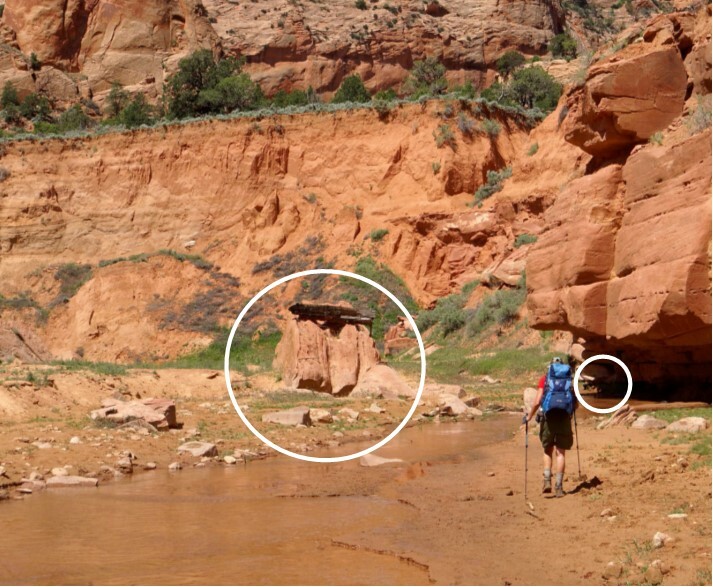 ... and Kachina Bridge. 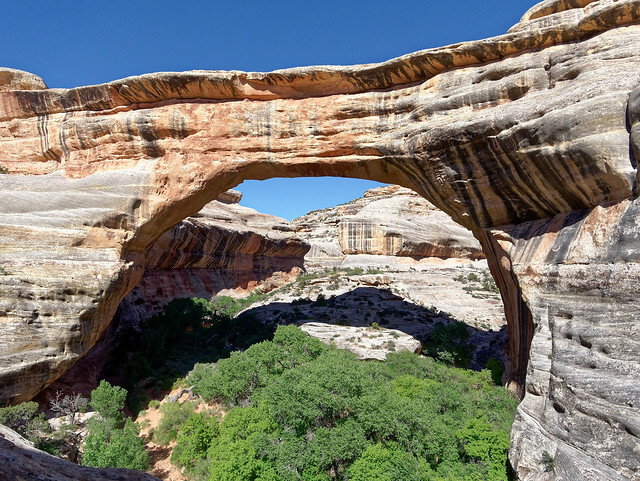 All of our photos taken at Natural Bridges National Monument are on Flickr. By this time it was really heating up in the southwest so we decided to head north to Washington State. I'll write about what we did there the next time. I have things to do, like write this blog. But it always takes me an inordinately long time to write it. Not because I don’t want to do it. I really enjoy looking through all of our backpack trip photos and reliving the adventures. And early on I came to realize that writing this part, where I write about what I've been thinking about, meets a need that I have. It is not that my trip reports are exhaustive or that anything I write about is profound or requires exhaustive time consuming research. No, the biggest reason it takes me so long to write this blog is that I am easily distracted. I don’t even realize it has happened until sometime later when I notice how much time has passed and how little I have accomplished. 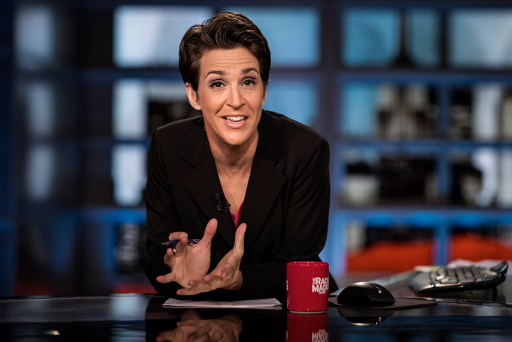 I am reminded of something Rachel Maddow once said on her show. She was describing a political movement that never followed through because they got distracted. She then did an admirable imitation of a dog starting to dart after a squirrel. For me the analogy hit very close to home. I can be sitting here thinking and typing away when all of a sudden … Squirrel! What's the most recent political outrage? So I check the headlines on Huff Post or New York Times and may read an article (or two) before I remember what I am supposed to be doing. Okay, I'm thinking and typing again ... then ... Squirrel! I wonder if I have any email. A while later I get back on task and am typing along when … Squirrel! What are our Flickr stats? Think some more, type some more and … Squirrel! What’s happening on Facebook? Think , think, type, type and … Squirrel! There's my Kindle, just one quick chapter ... Squirrel! There’s my iPhone, just one quick game of Solitaire ... Squirrel! ... 4 Pics/1 Word! I even get distracted from my distractions!?! I know that I am not alone and it seems this could be a problem for our society. An article on Wikipedia, "Attention Economics", refers to the human attention as a scare commodity and a resource that we only have so much of it. That is discouraging to me because since the advent of the internet there are countless sites all clamoring for our attention. “Drawn by the illusion of companionship without the demands of intimacy” and that we “confuse the scattershot postings on a Facebook wall with authentic communication”. She says that “we are changed as technology offers us substitutes for connecting with each other face-to-face. We are offered a whole world of machine-mediated relationships on networked devices. As we instant-message, e-mail, text, and Twitter, technology redraws the boundaries between intimacy and solitude. ... Teenagers avoid making telephone calls, fearful that they “reveal too much.” They would rather text than talk. 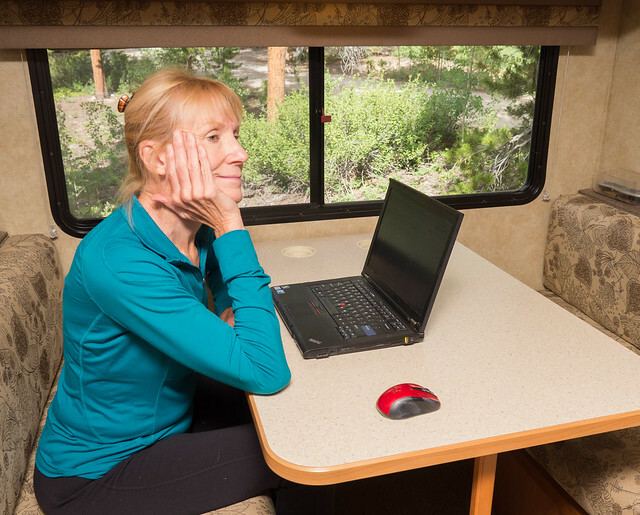 Adults, too, choose keyboards over the human voice. It is more efficient, they say. Things that happen in “real time” take too much time. .. And they report feelings of closeness when they are paying little attention. In all of this, there is a nagging question: Does virtual intimacy degrade our experience of the other kind and, indeed, of all encounters, of any kind? I think we're setting ourselves up for trouble -- trouble certainly in how we relate to each other, but also trouble in how we relate to ourselves and our capacity for self-reflection. 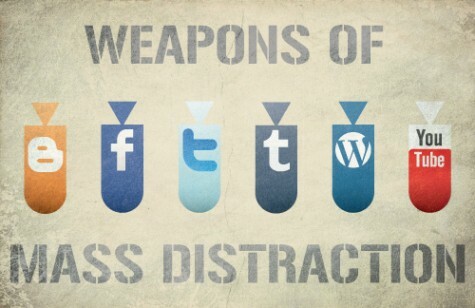 I like to think I have not fallen victim to the worst of the problems caused by distraction. Regarding interpersonal relationships I am by temperament a shy introvert and have never been very social so it would seem it is hard to damage something that was not there in the first place. 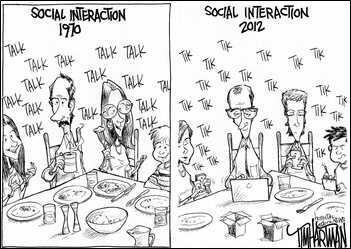 I talk to close friends and family just as infrequently now as I did before the advent of social media. 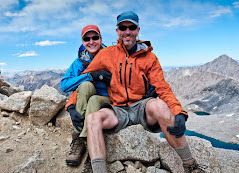 And John and I have plenty of quality time together without the common distractions when hiking and backpacking. However, distractions are still a big problem for me because they all get in the way of my achieving my goals. One goal I have is to post the blog right after John finishes editing photos and posts them on Flickr. I definitely prefer to have it done before we have another set of adventures and it can really stress me out to be behind (like I am right now). 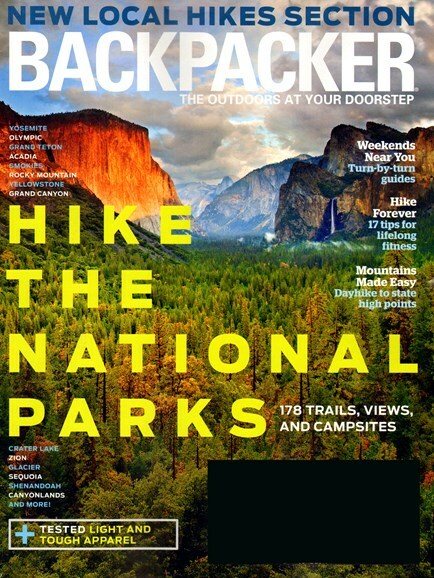 I have also wanted to write an article for Backpacker Magazine. Before I do I want to spruce up the blog and flesh out some older posts. Nothing too difficult but I just never get around to it. And recent backpack trips made it painfully obvious that at my age (63) I need to do more to increase and maintain conditioning. 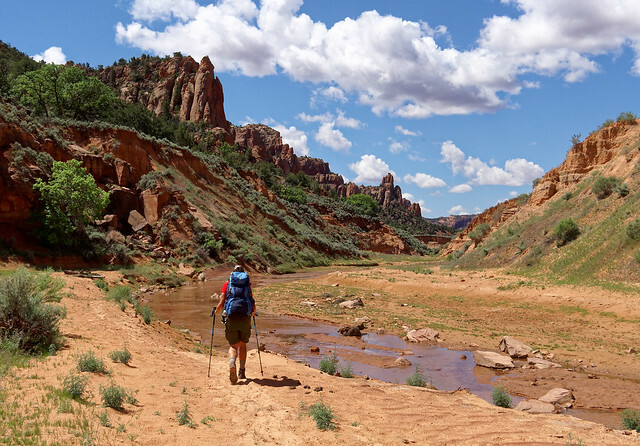 Not only for backpacking but for continued health and independent living as I grow older. I have had goals to do regular cardio and strength training as well as some stretching and working at improving my balance. And yet it doesn't happen. I know what I should be doing. I know how to do it. 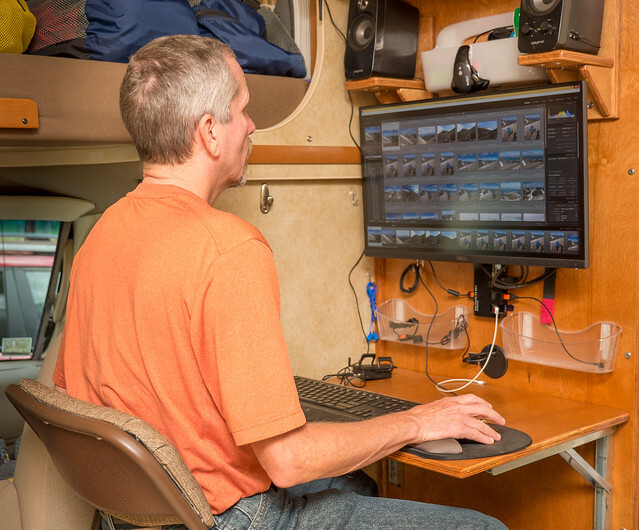 And we have the "tools" we need to do it with us in our motorhome. What I never seem to find is the time to do it. Which is crazy because we are retired. But the truth is that I squander inordinate amounts of time on distractions. My distractions are like an “itch” that I “scratch” without even noticing. I thought I should be able to exert enough self - control and just force myself to ignore them and focus on the task at hand. But it hasn’t worked so I thought maybe what I needed was more willpower. 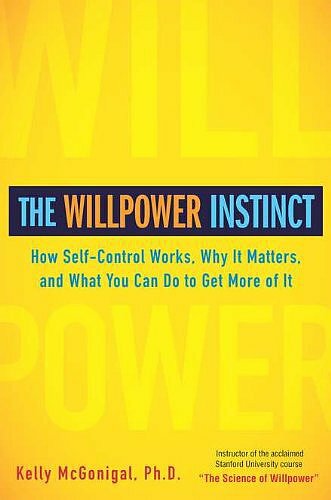 So I read "The Willpower Instinct: How Self - Control Matters" by Kelly McGonigal Ph.D. She is a health psychologist and educator for the Stanford School of Medicine’s Health Improvement Program and her book is based on her 10 week Continuing Studies class, “The Science of Willpower”. In her book she backs up her statements with the results from scientific studies. However, one of the points she makes in her book is that being distracted interferes with one’s willpower. So I did some searching (getting distracted a number of times) and stumbled across an interesting blog, “Zen habits” written by Leo Babauta. 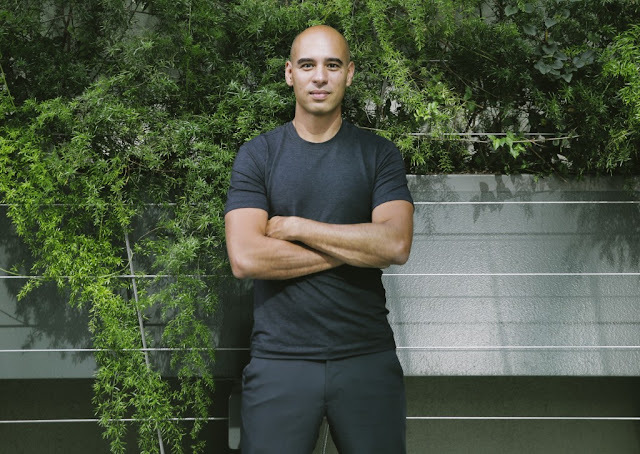 While this fellow has no formal credentials he has made some impressive life changes in the past ten years going from being a smoker to a meditating marathon running Vegan. He states that “Zen Habits is about finding simplicity in the daily chaos of our lives. It’s about clearing the clutter so we can focus on what’s important, create something amazing, find happiness”. It sounded like something worth checking out and I did find that he has several pertinent posts. “Become aware. See when you’re switching tasks, being pulled by social media and other distractions. See your mind rushing from one thing to the next. If you’re not aware of the habit, you’ll never change it.” He also wrote “See your main distractions. What are the things your mind runs to? What about these things appeal to you? What fears are you running from”? “One of the insidious things about the distraction habit is that we often don’t even realize it’s happening. It sneaks up on us, like old age, and before we know it we’re addicted and powerless. But actually we’re not powerless. The power we have is our awareness, and you can develop it right now”. He goes on to write that “once you’re aware of the distractions and urges, you can start to examine the causes”. So I looked at my distractions. My iPhone is a convenient and efficient gateway to many of my distractions. I frequently check my email which can provide a veritable cornucopia of distracting information and links. I often scan the headlines on Huff Post or New York Times but reading the news these days is like driving by a massive car accident. I am horrified by what I see but I can't tear my eyes away. Afterwards I usually end up compulsively playing Solitaire. or 4 Pics 1 Word. 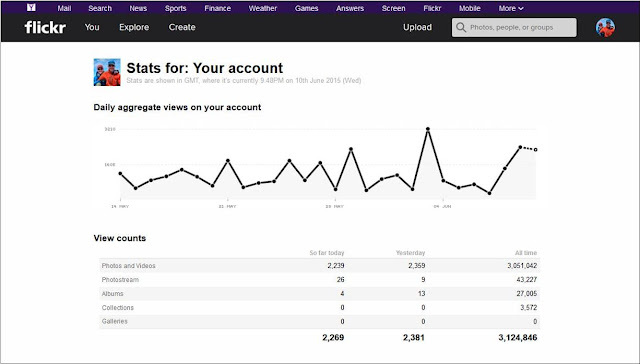 I also compulsively check our stats for John's photos on Flickr and for this blog. In the past I regularly posted photos on Flickr Groups and on Reddit's “Earthporn” (among other subreddits) with links to more photos and this blog. In addition I have checked the Camping and Hiking subreddit on a regular basis to see if I can help anyone with questions. And then there is Facebook. I was slow to embrace Facebook and I even deactivated my first account after people who wouldn’t say boo to me in public school suddenly wanted to be my “Friend”. But I eventually signed up again (this time without including my maiden name or indicating where I had gone to school). 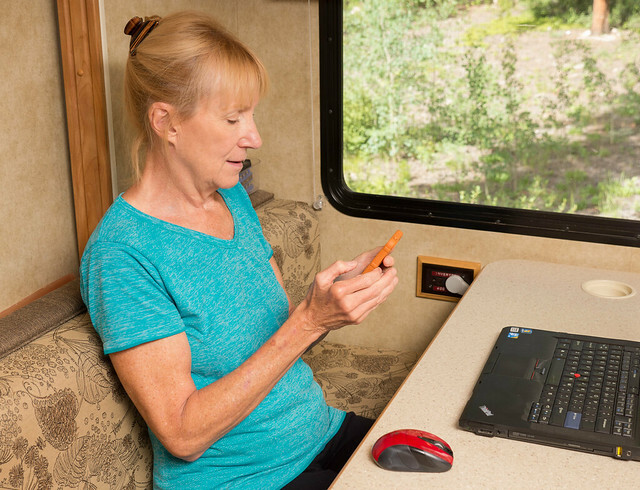 I initially didn’t seek “Friends” beyond family and a few old friends but I’ve been acquiring more “Friends” primarily through our membership at Jojoba Hills RV Co – op, our new winter base. Initially I posted or commented infrequently and was very selective about what I "shared". However, I have since discovered Facebook groups and I am embarrassed to admit I currently belong to 13. 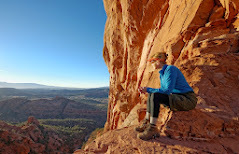 Some are related to Jojoba Hills and a few to Pickleball, a game John and I both enjoy playing over the winter, but most are backpacking related. Some, such as Backcountry Meal Planning for Thru Hikers and PCT Section Hikers, do have great potential of helping us achieve some future backpacking goals. 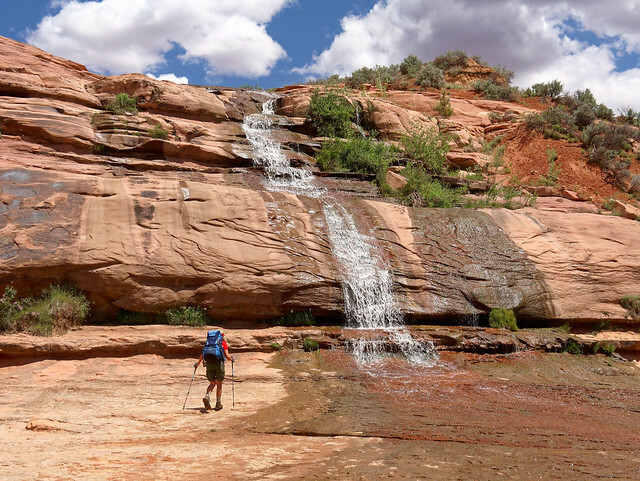 However on other's, such as the Grand Canyon Hikers and Backpackers Facebook Group, I find myself using them as opportunities to provide links to our photos and to this blog (then I check our stats even more frequently). Find one thing to focus on - You might have a long list of things to do, but you can’t do them all right now. Just pick one. Clear everything - Close all programs you don’t need. Close your computer if you don’t need it. Set a timer for 20 minutes - During this time, you’re going to do nothing but focus on the one task you choose. Watch your mind try to run - Sit with the urge to go to a distraction, without acting on the urge. Stay with the task. Take a break - After your 20 minutes is over, set the timer for 10 minutes, and take a well-deserved break. Allow yourself to go to the distractions. Start closing as many browser tabs as you can. Block your favorite distractions for a few hours. Games, social media sites, news sites. Write down the times you’re going to check email and other messages. Meditate. Sit still for just a couple minutes, without any distractions, and put your attention on your breath. 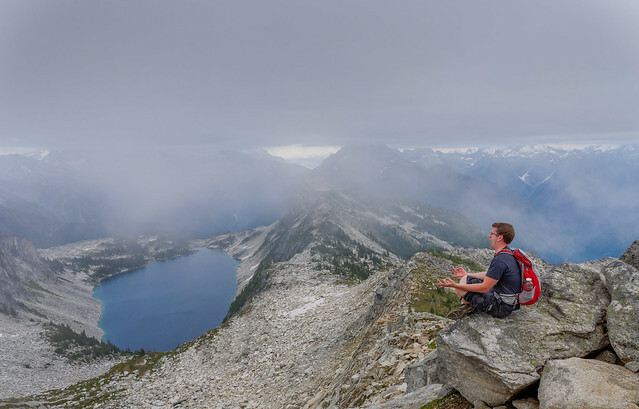 Find a place with no wifi. Or turn off your router. Delete distractful apps on your phone. Eat without a device. Pay attention to your food. These sounded like good suggestions but it sure seemed like I was still going to need at least some willpower to accomplish them so I returned to Kelly McGonigal’s book. She wrote something that I initially found discouraging, that like a muscle our willpower gets tired when we use it. However, she does tell readers how to deal with that. She explains that relaxation is the best way to recover from willpower exhaustion. She is referring to true relaxation. Not sitting in front of the TV with a glass of wine but lying down and consciously relaxing every muscle. She goes on to say that the brain needs fuel but it can only store a small amount and it is quite sensitive to blood sugar levels. Therefore she recommends a low glycemic diet, basically a diet that doesn’t quickly boost your blood sugar and then cause it to drop. She goes on to write that just as it is important to exercise our muscles that it is important to exercise our brain including the prefrontal cortex, the part responsible for our willpower. She states that studies indicate that those who exert self control on small inconsequential challenges found that their self - control “muscle” was strengthened in other areas of their lives. Examples included such tasks as not crossing one’s legs or saying “yes” instead of “yeah”. She writes that “When you’re trying to make a big change or transform an old habit, look for a small way to practice self - control that strengthens your willpower, but doesn’t overwhelm it completely”. She has another suggestion for how to increase one’s willpower, meditate. She says that “Neuroscientists have discovered that when you ask the brain to meditate, it gets better not just at meditating, but at a wide range of self - control skills, including attention, focus, stress management, impulse control, and self awareness”. The author suggests doing a five minute brain training meditation every day. Sit still with your eyes closed (or focused on blank wall) and turn your attention to your breath. Silently say to yourself “inhale” and “exhale”. She recommends working toward 10 to 15 minutes a day if possible but states that “a short practice that you do every day is better than a long practice you keep putting off”. When you notice your mind is wandering she says you should just bring it back to focusing on your breath. This process apparently improves your ability to focus when you are not meditating. “Meditating is not about getting rid of all your thoughts; it’s learning not to get so lost in them that you forget what your goal is”. She says that you should not get discouraged if your mind wanders. Just notice when it does and bring it back to your breathing. This action actually apparently improves your ability to deal with distractions and helps build willpower. ... Squirrel! I wonder if John is busy. Well, I guess there are some distractions I don't want to avoid. Hopefully not creating a "squirrel" for you but I'm really enjoying every post from you guys. Thank you so much! Thanks for this post. I enjoyed your journeys to two dramatic sites. I have seen Betatakin from a road pullover. I’m too old to hike to Keet Seel, I guess. I really appreciate the share of your lovely photos and your commentary.